The Finnish composer and conductor Esa-Pekka Salonen. 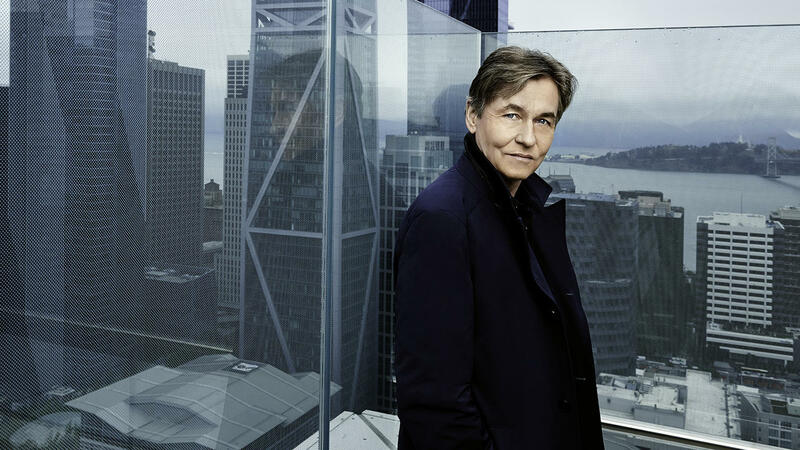 In a move that is astonishing much of the classical music world, the San Francisco Symphony (SFS) announced Wednesday that it has appointed Finnish composer and conductor Esa-Pekka Salonen as its next music director, beginning in September 2020. The 60-year-old Salonen is already a well-known and widely loved name in California and far beyond. From 1992 to 2009, he was the music director of the Los Angeles Philharmonic, which he nurtured into becoming one of the most visionary and exciting orchestras in the U.S., which he then led into an iconic, Frank Gehry-designed new home at the Walt Disney Concert Hall — a venue that cemented the orchestra's hopes of becoming "the band of the future." But over the past several years, Salonen has stepped away from much of his conducting work in order to focus more intently on composing his own music. (His output in his post-Los Angeles years includes a cello concerto written for Yo-Yo Ma.) The surprise of his San Francisco appointment is that many in the classical music business assumed that he wouldn't be interested in taking up any full-time conducting offers, even as his name has frequently appeared on critics' most-wanted lists as various prominent posts have opened up across the U.S. The San Francisco announcement also helps boost the argument that the West Coast is now the epicenter for exciting programming and artistic leadership for orchestral music in the U.S., with Gustavo Dudamel now holding the reins in Los Angeles. In a statement, Salonen said that it was the city of San Francisco itself — and this orchestra in particular — that lured him back. "From the very first approach, the San Francisco Symphony leaders and musicians and I were buzzing with possibilities. The 'what-ifs' of the orchestra world were suddenly on the table in a real way. Here is a top symphony orchestra in the place in America where things start; where the ways things have always been done are interrogated, and where problems are first identified and then solved. In San Francisco itself and in the San Francisco Symphony, I see both the big ideas being thought and the actual work being done, and that, to me, is irresistible ... There was a 'no brainer' aspect to this that I've been fortunate to have experienced a few times before in my career, so I know it when I see it." The SFS says that Salonen has been engaged for an initial five-year contract. In his first season, he will conduct six subscription weeks and lead a tour of Asia; in subsequent weeks, he will conduct 12 to 14 weeks per season. Along with Salonen's appointment, SFS announced the creation of a collaborative group of eight "extraordinary artists, thinkers and doers" to help helm its artistic leadership. They are pianist and composer Nicholas Britell; soprano and curator Julia Bullock; flutist, educator and founder of the International Contemporary Ensemble, Claire Chase; composer and guitarist Bryce Dessner of The National; violinist and music director Pekka Kuusisto; composer Nico Muhly; AI entrepreneur and roboticist Carol Reiley; and jazz bassist and vocalist Esperanza Spalding. Salonen is succeeding Michael Tilson Thomas, who is stepping down after 25 years as music director in San Francisco.